Hello, hello, hello and welcome back to day 5 of blogmas, I hope you’ve been enjoying the festive content so far! In today’s post I’ll be counting down my top 5 drinks for this season. 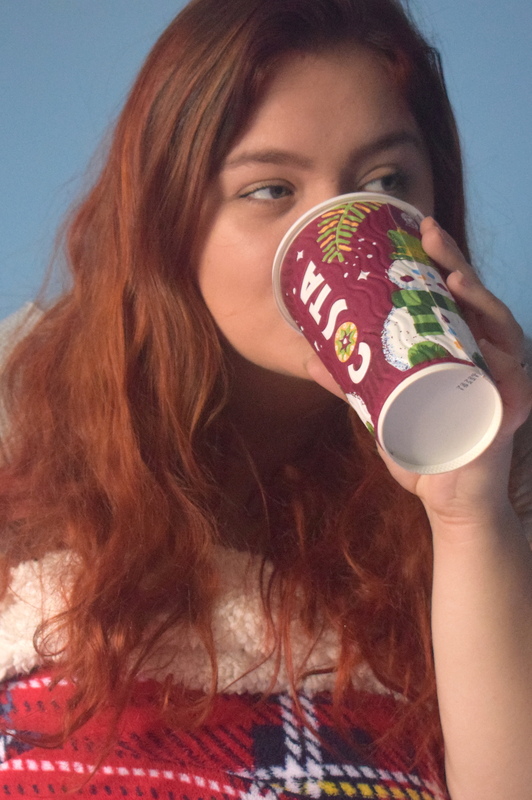 These drinks are from Starbucks and Costa, and I’ve been really loving having an excuse to test out all of the yummy drinks for this post! So, without furtherado, let’s go! 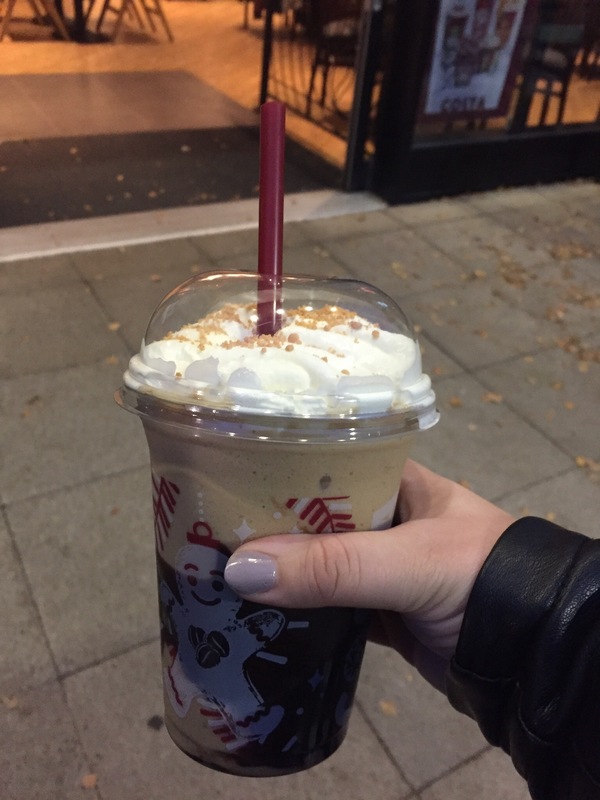 This is the new addition to the costa menu for 2017, and I actually really like it! It’s quite rich in taste, yet it’s still light enough to not leave you feeling sloshy. The only thing I’m not too keen on is the bits of biscuits, it reminds me of sharing a drink with my 2 year old brother (gross!!). This one shares the spot with the costa above because they taste veeeery similar! Although this one doesn’t have the biscuit bits so I guess that’s an improvement! This was actually the first frostino I’ve ever tried, and I bloody loved it! Not the best drink in the world, as it’s only got place number 4, but very yummy indeed! And, the shortbread crumble thing actually works in this one because it doesn’t go mushy, so yeah it’s actually nice! I would describe this drink as a Christmas hug in a cup! 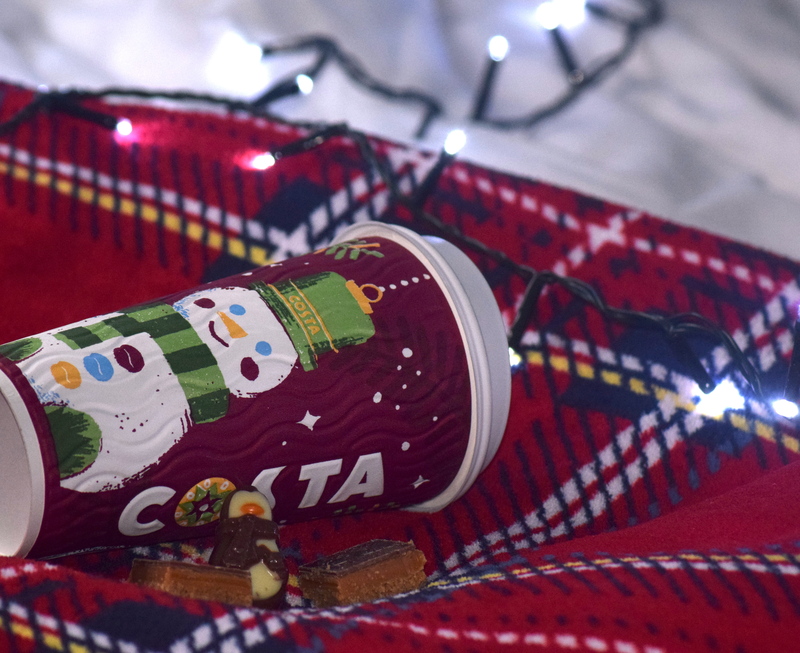 It’s yummy, and perfect for when I’m craving a cosy Christmas coffee. 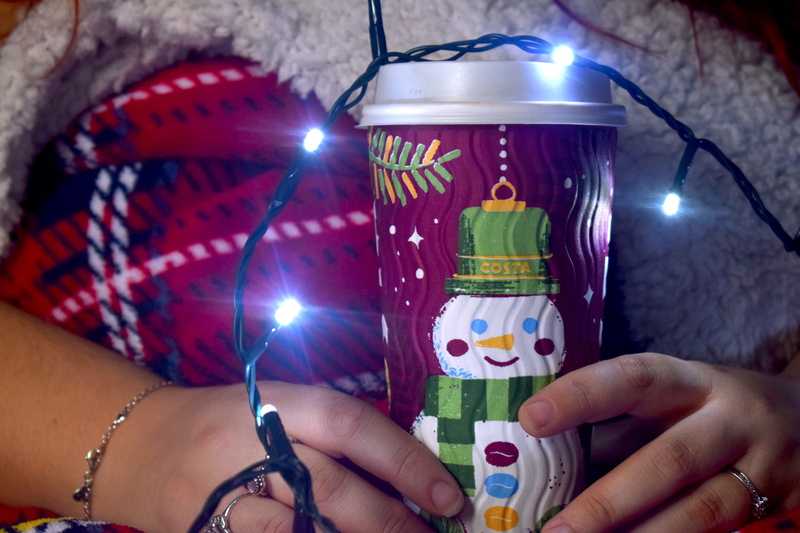 Plus I adore the Starbucks takeaway cups this year! The only issue is, they again put bits of biscuit in the drink. In all fairness, they did ask if I wanted it without but I decided to have it with to test the complete experience. I’ll definitely have it without next time! I liked this drink A LOT more than I expected to! 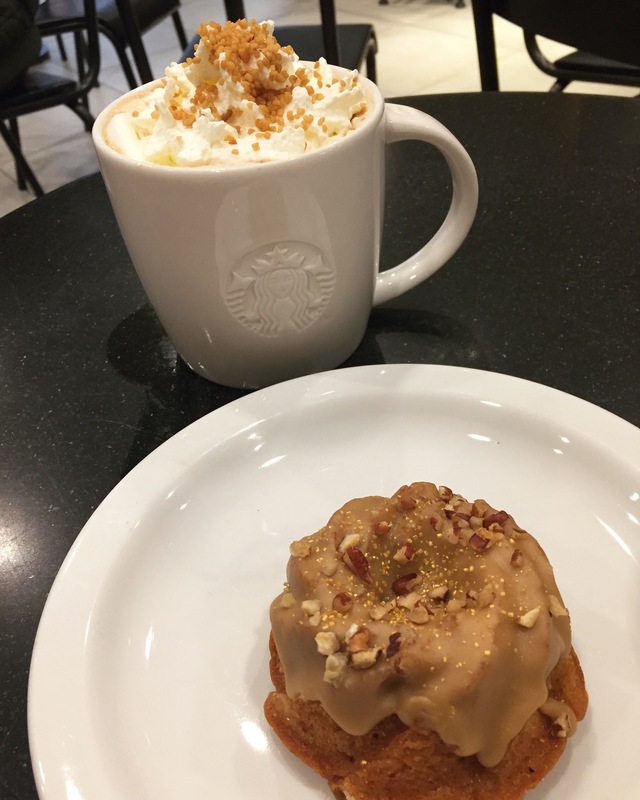 The bits of nut in it are quite nice and actually add to the drink (which was a pleasant surprise after the biscuit bits scenario) and it really was delicious! Andddd there we have it! 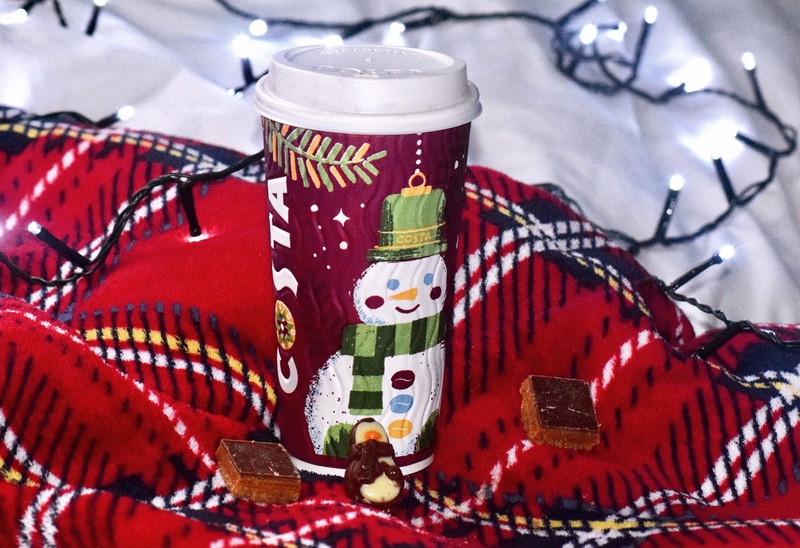 My favourite festive drinks from costa and Starbucks this year! Which ones are you loving? Let me know in the comments! Previous Post Blogmas 2017 Day 4: Real VS Fake- The Christmas Tree Debate! Next Post Blogmas 2017 Day 6: Gifts For Bloggers That Are (kinda) Practical!